In the ideological thinking of Ancient Egypt, duality played a crucial role. The equilibrium principle could not exist without the imbalance; and in front of the idea of ​​order was that of disorder. 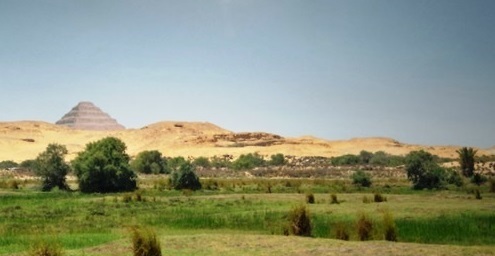 Duality was supported by the Egyptian geography itself: In front of the cultivable and fertile area was the arid and sterile desert. This contrast was an opposition between fertility and sterility, but also between order and chaos. 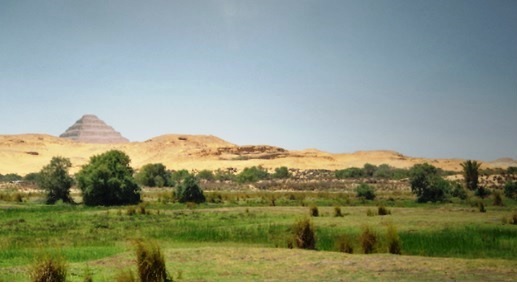 The cultivable zone (Egypt) was the ordered world (equilibrium) and the desert (the foreigner) was the chaotic world (imbalance). Safeguarding that order (Egypt) and keeping chaos (foreign) under control was essential and obligation of the monarch. This premise is what gave rise to one of the most typical scenes of Egyptian art: the massacre of the enemy by Pharaoh. 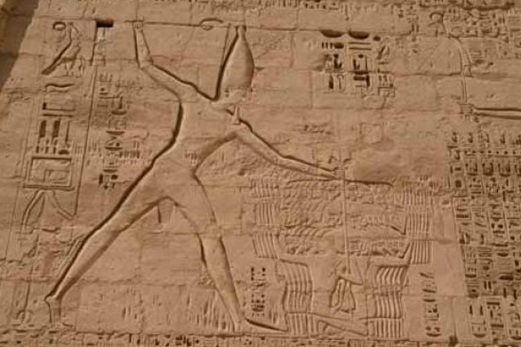 The image of the king holding one hand by the hair (sometimes by the arms) the foreign enemies (Asians, Nubians and Libyans) and brandishing with the other weapons (sickles, clubs …) is nothing more than a reference to the maintenance of that stability and harmony by Pharaoh through an iconographic archetype. It is a typical Egyptian image containing the scheme of duality. And it is the product of a collective feeling, which remains unchanged throughout the history of ancient Egypt and with a very precise iconology.